Songs of Eretz Poetry Review is pleased to present “Death & the Janitor” by Carl Boon. A native Ohioan, Boon lives and works in Izmir, Turkey. His poems have appeared in dozens of magazines, most recently: Two Thirds North, Jet Fuel Review, Blast Furnace, and the Kentucky Review. my side stitched with ache. 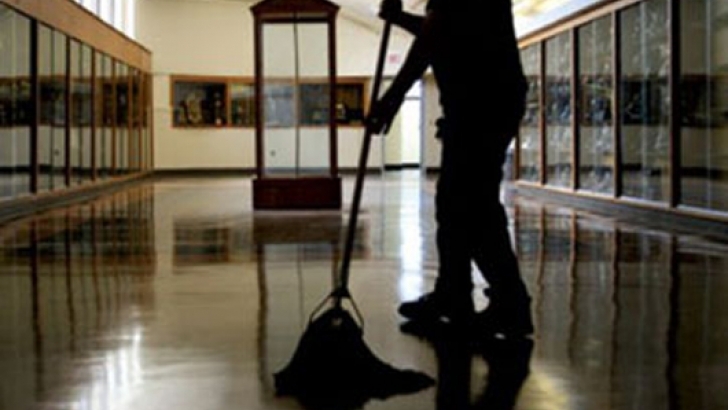 Poet’s Notes: The janitor who worked in my middle school in the 1980s—I believe his name was Fred—cut a unique figure: part jokester, part uncle, part target of ridicule simply because he looked different than the students, teachers, and administrators. I suspect this is the case with many schools. This poem was born with a flash of his face and blue overalls, a memory, and then grew into a meditation on mortality and how children have no sense of their aging and dying. In the back of my mind—in that space where potential poems float and fade—I suppose I was also thinking about Williams’s “Death the Barber,” but only in the sense of title and a sort-of way in to thinking about the janitor.